One of the best things about hiking is that it can be done in just about any weather conditions. So long as you’re prepared for it that is; going out in a force 10 gale wearing your pajamas isn’t the best idea. When decked out in the right gear though, the more challenging the elements, the more adventurous you’ll feel, and with that comes a real sense of accomplishment. Regular hikers know how important it is to pack quality waterproof clothing so you can enjoy your hike come what may. And since 50% of your body happens to be your legs, in this guide I’m going to be looking at the best backpacking rain pants to keep your pins warm and dry. Below my reviews, you’ll also find a guide to choosing the right product for your hiking needs, plus some extra tips and tricks thrown in for good measure. And since the weather is turning and the clouds are grey – let’s get going before we’re caught in a downpour! While many brands will usually offer male and female versions of their products, some are specifically built for slighter frames. 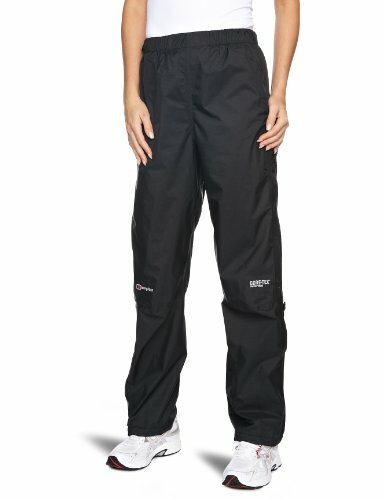 Let’s take a look at these rain pants for women. Mountain Warehouse is a British company that specializes in offering quality outdoor gear at affordable prices. These waterproof overpants tick all the boxes when it comes to challenging for the best woman’s rain pants for backpacking. Lightweight and compact, they even come with a pouch so you can store them easily to save you valuable backpack space. Sizes and fit might be hit and miss. A no-frills offering from Mountain Warehouse, these pants are a great backup shell for those wetter hikes. They’re not going to stand up to too much wear and tear though. 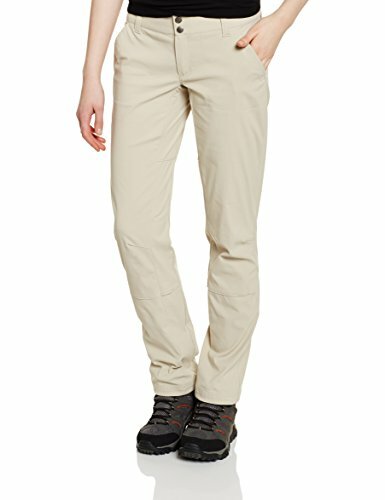 The women’s version of these Jack Wolfskin pants are lightweight and breathable, with a stretchable, comfortable fit. They’re specially designed to not impede your movement when out hiking or any on any other outdoor activity. Might not be windproof or stand up to heavier rain storms. 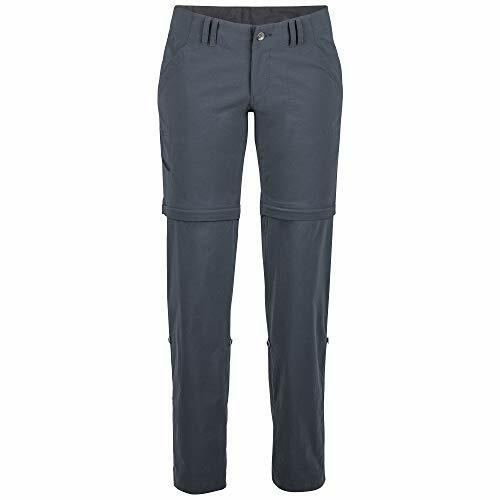 A great mid-range option from Jack Wolfskin, these pants are really stylish and consistently garner compliments for how they look and feel while being worn. The Columbia female entry doesn’t disappoint, providing lightweight and mobile protection in a breathable material. Like the men’s version, they come with their own patented technology for keeping you dry and protected from UV rays. They offer some nice features when it comes to ensuring a good fit, including articulated knees and leg hem cinches. Similar to the Jack Wolfskin option, these rain pants from Columbia are a great, convertible all-rounder that you’ll use over and over again. I couldn’t really do a post about outdoor gear without mentioning the North Face, and so here they are with these stylish rain pants. They’re fully weatherproof and will most certainly keep out the wind and the rain – has been well tested in a torrential downpour and boasting a 2.5-layer construction. Adjustable ankle straps make it easy to achieve a comfortable, protective fit. As weatherproof as they come. Only available in black and regular size. 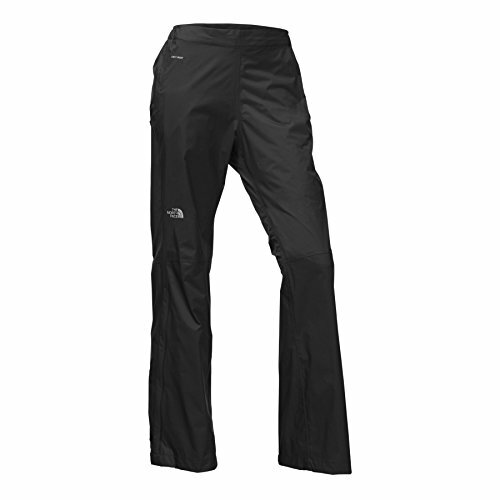 When it comes to keeping the weather at bay, look no further than these pants from North Face. The price and lack of sizing options might put a few people off though. 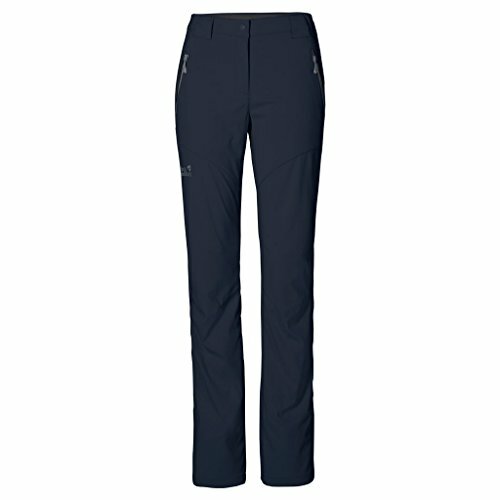 Designed with a feminine fit in mind, these rain pants from Marmot are very easy on the eye, practical and versatile. They’re durable too, with plenty of useful features, including the option to convert to capri, with adjustable waist and belt loops should they be required. Articulated leg for freedom of movement. Useful pockets and belt loops. Convertible zippers might feel uncomfortable. A nice-looking number from Marmot, these pants are well constructed and should perform well in most moderate weather conditions. The Prana Women’s pants have a feminine fit, are mobile and come with various adjustment options. Like the men’s counterpart, they also come with stretch “Zion” performance and durable water repellent finish. The material dries out quickly and has an ultraviolet protection factor of 50. Articulated knees help movement, especially when bending and climbing. The pants can be rolled up easily to knee height to keep you cool in warmer climes. Double check your sizing before ordering. 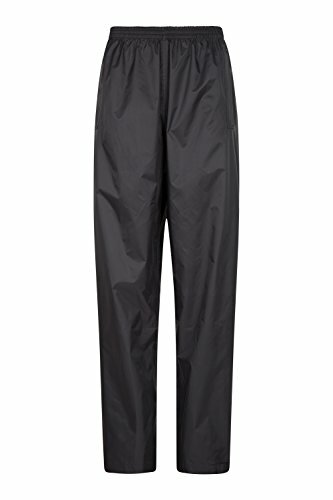 Like the men’s version, these rain pants are a good all-round option for the hills. They’ve been known to have a few discrepancies when sizing, however, so make sure you know what you’re taking to the checkout. The female entry from Berghaus might just be the ultimate in waterproof rain pants – as you might expect for the price! Utilizing Gore-tex technology, these pants will keep you dry and comfortable even in the worst weather conditions. Three-quarter length side zips ensure you can stay cool come rain or shine. Side zippers a big advantage. Packs down into a carry pouch. One for serious hikers only – the price could make your toes curl! Berghaus have done it again with a top-quality product and one of the best rain pant options out there. You get what you pay for – and with these pants, you’ll be paying quite a lot! It’s the turn of the gents now – here’s a selection of the best hiking rain pants for men. For a budget option, this Swisswell offering might be the best rain pants for backpacking. A no-frills rain pant, they’re super packable, easy to throw on when the weather turns and windproof to boot. They have a layer of mesh lining that keeps everything breathable and moisture away from your skin. Won’t take too much of a beating. Could well be the best backpacking pants available as they won’t take up too much space but will keep you dry in emergencies. Perfect for throwing in a hiking daypack just in case. Columbia is a sportswear company from the US that produces some top-quality outdoor gear, as these extremely popular hiking pants will testify. The cargo pants design is versatile and practical, with plenty of pockets and compartments to keep you organized. The fabric is specially constructed to keep you protected against UV rays and draw moisture away from your body. You should be hiking for longer in these pants – without that nasty chaffing! Not rip-stop material – unsuitable for climbing or scrambling. Altogether a great entry from Columbia, these pants will suit most lightweight outdoor use and keep you dry in the process. Not the most heavy-duty though, so if it’s a rugged expedition you’re going on you might want to look elsewhere. Berghaus is a quality outdoor clothing brand hailing from the UK founded in 1966 by two mountaineers. As the name suggests, these pants will keep you dry even in a deluge. It’s a hydro shell fabric that they guarantee to be waterproof. There’s an air-vent system on the upper part of the pants to keep you from overheating. Zippers control the air-flow. As waterproof as they come. Air vents a real plus point. I can’t fault this option from Berghaus and they’ve got a good shout at being the best waterproof hiking pants in my selection here. Although they don’t have any pockets, you can easily reach under them to access whatever garment you’re wearing underneath. For outdoor pants that actually LOOK like outdoor pants, you can’t go wrong with this option from TBMPOY. 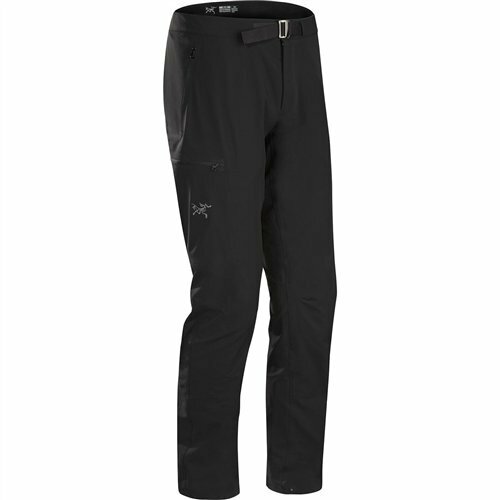 They’re extremely versatile, and can easily be layered up for in colder weather or for skiing and snowboarding. 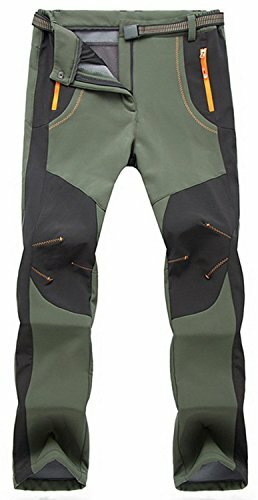 The product comes in a variety of materials and the fleece option is a great choice as one of the best waterproof winter hiking pants available. Choice of linings and designs. Make sure you order the pair that’s right for you – it can be a little confusing. Terrific multi-use rain pants that come in a choice of styles and linings – but double check your order before confirming your purchase. German manufacturer Jack Wolfskin needs little introduction when it comes to outdoor gear, having been on the scene since 1981. These pants are no exception to the company’s regular quality output. They’re a 2.5 layered ripstop material that makes them extremely waterproof, windproof and durable. Excellent waterproofing at this level. Might be a little on the basic side for some. 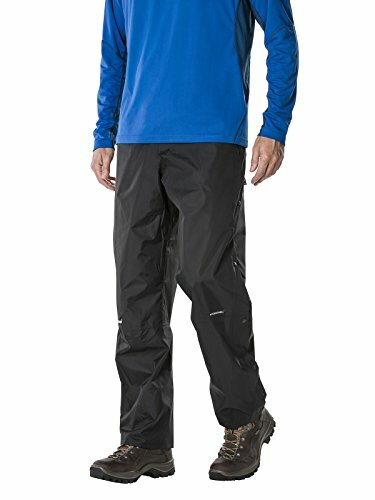 Another quality all-rounder from Jack Wolfskin, they just might be the overall best waterproof hiking pants on this list for when the heavens open. 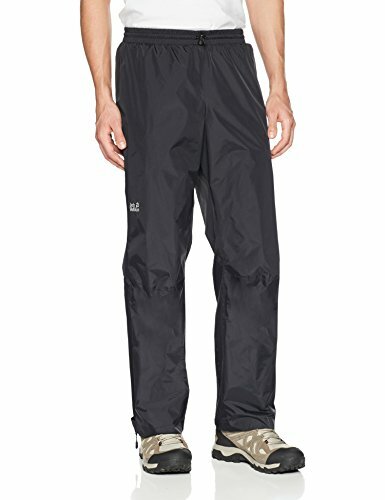 Outdoor Research offer these lightweight rain pants for backpacking that are highly durable should you happen to be scrambling over rocks. They have zippered pockets on the thigh and two front slash pockets. The pants are fitted with the low-profile waistband for smooth fit. They also have free-hanging brushed tricot linings for comfort. Pockets could be bigger – a common complaint. No-nonsense rain pants that are easy to pack and will protect you from the elements. But in my opinion they won’t be winning any style awards! A comfortable, versatile choice that can be used for sports or casual wear. Made from stretch ‘Zion’ fabric with durable water repellent material. They convert to shorts via the zip-off legs. There are total eight pockets in this cargo pant design, giving you plenty of options to organize documents, keys, coins and other useful gear. Not suitable for colder weather. 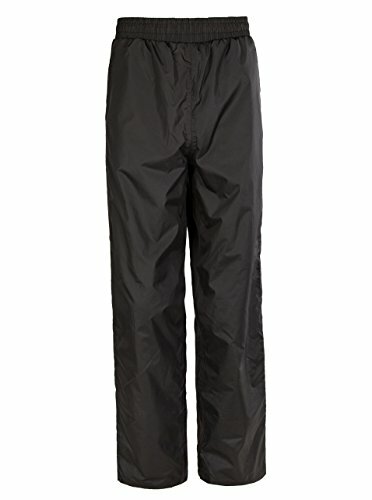 A popular, stylish pair of rain pants that are useful in a variety of situations. You’ll need thermals in lower temperatures though. Solid, water-resistant pants that are suitable for hiking, trekking, climbing, and backpacking. The pants have a brushed polyester waistband with adjustable webbing belt and a good quality zipper. Breathable, stretchable material offers light weather protection with the room to move. While a quality product that will do the job well, the price of these rain pants will put off most casual ramblers. Alright, so this might be a bit of a cheat as it’s an all-inclusive rain suit. For a similar price for the pants, you’re getting a rain-proof jacket into the bargain. They’re both made from the same water and wind-proof material. A great option for the fashion conscious. 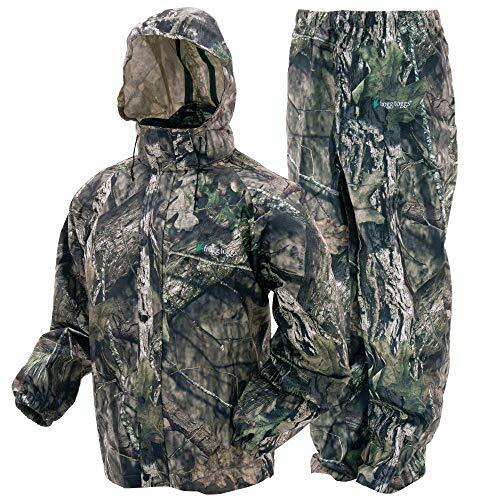 Elasticated waist and ankles on the pants, with a removable hood on the jacket. Terrific camouflage options available for a variety of terrain. Pretty pointless if you don’t really need the jacket (or vice versa). American company Frogg Toggs have knocked it out the park with this entry – a great option if you’re in the market for a jacket and pants combo. There’s also a female version too (link to Amazon.com). Like all outdoor gear and equipment, rain pants come with a lot of features that can be beneficial to your needs but can also cause you a selection headache when making your choice. Check out the guide below so you’re able to easily identify the best waterproof hiking pants for you. First things first – ascertain what you’re going to be using your pants for. If you’re just after a pair of back-up coveralls in case the weather turns bad on a gentle stroll, you’re not going to need to splash out hundreds of dollars. Likewise, don’t attempt to scramble a rock face in paper-thin pants without the risk of tearing an embarrassingly large hole. The material that rain pants are made from can be make or break when it comes to keeping you dry. There’s always a trade-off, heavier-duty construction will keep the rain out and are less likely to tear, but the added weight might end up being a problem. Then there’s the breathability to consider. Fabrics like Gore-Tex, eVent, and Pertex are utilized today to keep you cool even when working up a sweat from hiking or other outdoor activity. You’re either going to be wearing them or carrying them in your hiking backpack, so be wary of the extra weight you’ll be packing. Some rain pants will weight more than others depending on the material and lining. Many hikers will opt for lightweight pants they can layer on warmer clothing if required. It makes transporting them easier too. The downside is you won’t get the level of weatherproofing that a heavier duty product will provide. I suppose the number one requirement when choosing rain pants is – does it keep the rain out?! There are predominately two waterproofing technologies that companies use – laminates or coatings. Laminates have a membrane which prevents water from passing through while still allowing breathability. The coating is a thin layer of waterproof compound that is applied to the inside of a garment to prevent water seeping in. While they’re less expensive, they’re not as breathable as laminates. Decide which one is right for you before parting with your cash – they can make all the difference. Waterproof fabrics come in three different designs each offering their own advantages. You can either choose from 2 layers, 2.5 layers or 3 layers. Products with 2 layers actually have 2 separate layers you can distinguish, which makes them heavier but provides good weather protection. Rain pants with a 2.5-layer construction blend the layers so you have a lighter garment. 3-layered products are typically the most durable and waterproof/water resistant – but also the most expensive and generally bulkier. As with many supposedly waterproof or water-resistant garments, it is the seams that can often let the item down. If you’ve ever been in a rubbish tent during a biblical rainstorm, you’ll know what I mean. Make sure you investigate the quality of the seams before purchasing your rain pants of choice. Double stitching is always a good place to start. Another thing to consider is how versatile your new rain pants are going to be. Some pants are just simply used as emergency protection from a sudden downpour, while others can be more practical and multi-use. Some offer the bonus of being able to convert to shorts if the weather permits – which is great for keeping you cool while working on your tan during a hike. Cargo designs are super useful for carrying various bits and bobs should you want to use the pants for more than just a trek – such as fishing, hunting, or exploring a city while on your travels. Personally, I tend to veer more towards the pants I can also use when I’m not hiking. Something that wouldn’t look out of place as day-to-day wear. Whatever paces you’re putting your pants through will depend on how tough you’ll need them to be. Some designs will be constructed in rip-stop material that prevents wear and tear – great for climbing or scrambling over rocks and scree. Naturally, more durable fabrics are likely to be heavier and more expensive. And speaking of expense, you’ll know that with any product it can vary wildly. I always say try to buy the best you can afford, but make an executive decision based on what you’re using the pants for and how often you’re actually going to be using them. If you’re planning on hiking regularly (or you already do so) you’ll want to invest in a top-quality pair that will save you money in the long-run. Different people learn things in different ways and if, like me, you’d prefer to see visuals or listen to someone describe things, take a look at the video below. I found it quite useful when it comes to what to look for in hiking rain pants, without having to read too much! Don’t throw your cash at the first option you come across – compare and contrast a few brands and designs. It’s always nice to try before you buy and outdoor stores might have the same stock. See if you can try them on at your local branch, then save money online. It’s cheeky, I know! The big names aren’t always the best – consider the budget options too. Remember to tailor your choice to your needs – if you’re not mountain climbing you don’t need that kind of tech. Read lots of user reviews to get a wide range of opinions. Beware of fake reviews! We got there in the end, readers! With a bit of luck, you’ll have a better understanding of the rain pant world and can make an informed choice the next time you’re in the market for the best rain pants for hiking. And if you enjoyed this article (or even if you didn’t) why not take a look at my solo travel safety eBook which is available to download? It’s full of useful tips and tricks to keep you protected – and not just from the weather!